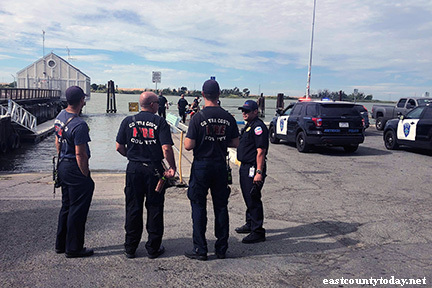 At 4:24 pm Saturday, Contra Costa County Fire was dispatched to a report of a water rescue at Fulton Shipyard in the City of Antioch. Initial reports were that a boat 200-yards from the boat launch was sinking with 7-passangers on it. Upon arrival, Antioch Police and Contra Costa County Fire stated all patients were accounted for. At Fulton Shipyard, two adults and three children who were all wearing life jackets were brought to the docks by a boat passing by. Another four people were taken to the Antioch Marina according to Police. AMR also responded to provided blankets to the patients.